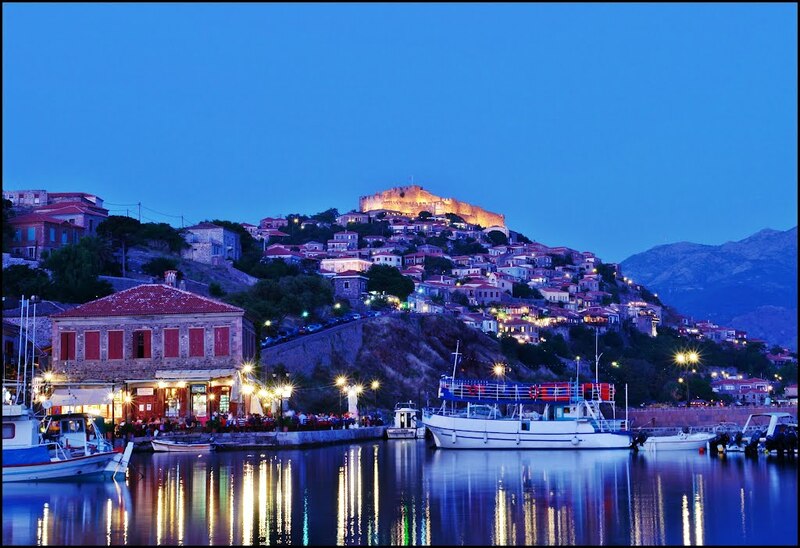 In few places are nature and the human presence so harmoniously combined as in Lesvos. Most villages preserve their architectural heritage almost intact. The materials mostly used in construction are stone and wood. The small “towers” are a typical type of house with a tall stone trunk at the first floor and a heavy door used for protection against the pirates. Many of the “pyrgelia” as well as other houses have “sahnisia”, a light wooden construction protruding from the top floor. In the villages there are courtyards surrounded with high walls and full of flowers and colour. Distinctive features of the architectural landscape are the olive presses, many of which, now restored, house cultural centers, and in certain areas (Plomari, Gera) the soap mills. Of architectural interest are also the schools and churches of the island, an heirloom of the prosperity the island enjoyed in the end of the 19th and the beginning of the 20th century. 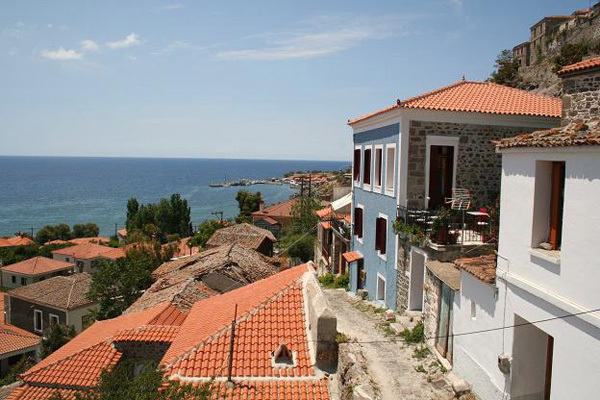 Traditional villages are among others Agiassos, Agia Paraskevi, Molyvos, Plomari, Vatousa and Mantamados. The clay earth abundant on the island has helped create a strong tradition in pottery. Tsoukaladika, traditional pottery workshopr, still preserving the old methods can be found at Mantamados, Ag. Stephanos, Agiassos and Mytilene. Fretwork also goes far back in the history of the island. 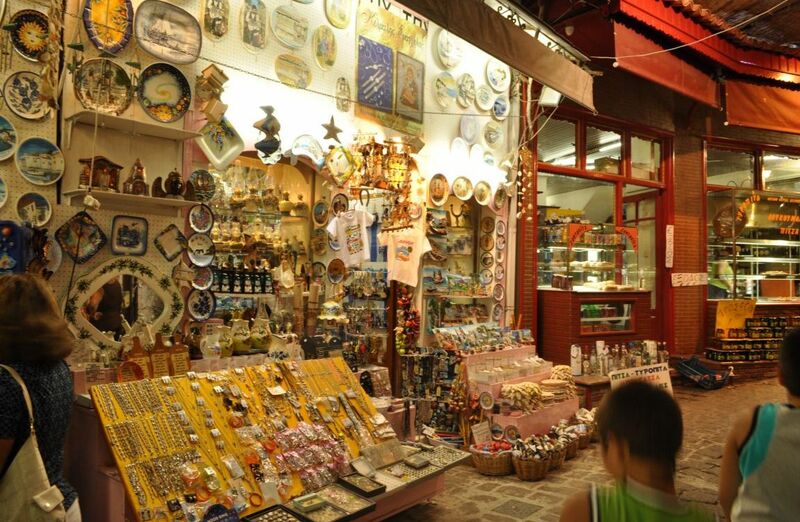 There are several woodcarvers on the island especially at Agiassos, Asomatos and Mytilene. Furthermore, one can admire excellent samples of weaving and embroidery at the folk art museums. The heart of the villages is their square and more particularly their “kafenia” or traditional coffee shops. The kafenia are in no other part of Greece so organically linked to the village life and so full of colour as in Lesvos.